I am pleased to announce the 2018 North Texas Leader of the Year, Christina Hopper! 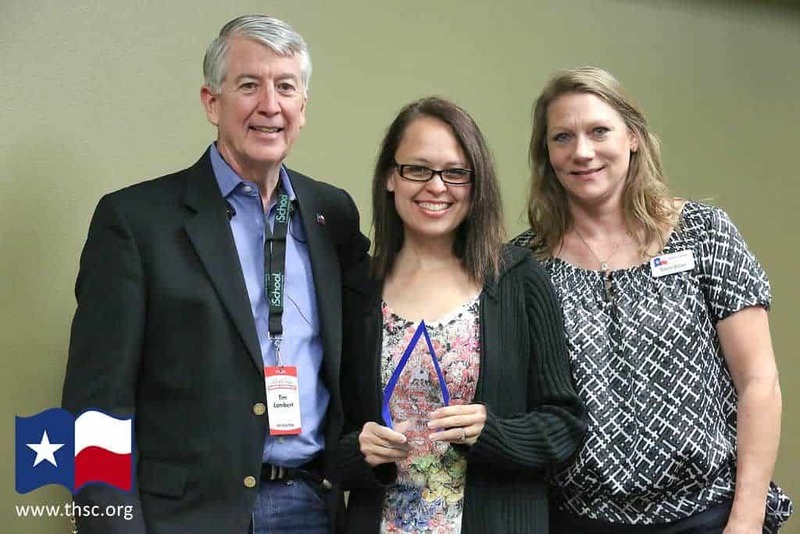 Christina is the leader of Grace Christian Educators in Alvarado, Texas. We received so many kind words from GCE members sharing about her leadership abilities and her sweet personality that it is easy to see how she was selected for this award. Please meet Christina Hopper! My name is Christina Hopper and my husband Jeremy and I have been married for 15 years this September. We have a 20-year-old son named Nathan who loves sports and a 14-year-old daughter named Anna who loves musical theater. We have been children’s ministry directors, youth pastors, worship leaders and full-time missionaries to Guatemala. Right now we only have one child at home and I commend those of you that have multiple, because only one keeps me busier than ever with her extra-curricular activities alone. We pulled our son out of public school in 2007 when he was in the fourth grade after researching and praying for two years. I actually went and talked to each of his teachers individually about why I was withdrawing my child, even though I know I didn’t have to do this, and to my surprise, a couple of them said they would homeschool if they could. The principal of the school even recommended different curricula for me to try. After hearing horror stories of school districts fighting homeschooling, I decided to chalk my good fortune up to small town country living and the grace of God. I could not believe the support I had from them. 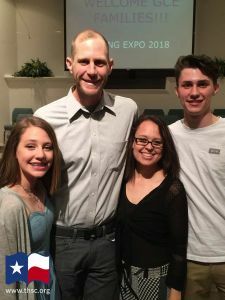 Right away, we joined a newly formed homeschool group (at the time) called Johnson Country Christian Educators (JCCE) based in Alvarado, Texas. In 2015, the group name changed to Grace Christian Educators (GCE) and is still going strong. Currently, I am the only member that has been there since the beginning. I honestly cannot remember when I officially became a part of its leadership, since I have had my hand in it some way or another. Right now I have the title of president, but I could not do it without the support and input of my team. To be honest, everyone in our group is a leader according to the way we operate now. Everyone helps in some capacity—whether it be a board member, a teacher, a coordinator, a helper or a cleaner. GCE is a true cooperative where everyone does something. We are essentially one big family made up of around fifty families. I am truly honored to have been awarded the Leader of the Year. I was shocked to even know I was nominated, let alone the recipient of this award. Half the time, I don’t even know what I’m doing, and the other half I’m only pretending to know. I am so glad to have such a support team for homeschooling. After all, we are in this together. Thank you to Christina Hopper for being a wonderful support group leader! We believe that parents should be empowered to raise the next generation of leaders. Is your homeschool group listed as a THSC Partner Group? THSC Partner Group leaders share resources and gain support on leadership from THSC with valuable benefits, including a $20 discount code to share with their members to save on THSC membership! Submit Your Group Application or Update Today! Search for THSC Partner Groups Near You!